They will give you cash for it while a used car dealer won’t. Used car dealers trade old cars, they don’t buy them. Wreckers (Car Wreckers Adelaide is a wrecker based in Adelaide) on the other hand, buy old cars with the sole purpose of disposing of them, thoughtfully. Wreckers pay surprisingly well for old cars that don’t run any more. To a wrecker, it doesn’t matter whether your car has been in an accident or is roadworthy or not. They are after the metal and any spare parts that might still be working or that they can recondition and resell. Why throw away your car when you can get cash for it? At All Vehicle Wreckers Adelaide, our observation has been that ‘too many Australians and new migrants to the country throw away their cars when they don’t run any more’. They do so by removing their number plates and then leaving them for Council vehicles to pick up. In the process, they miss out on a tidy sum of money that they could easily use to buy their kids a new iPod Shuffle or a nice dinner at a fancy restaurant. 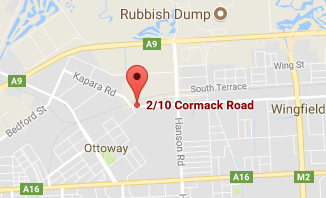 If you advertise an old car for sale on Carsales.com.au or The Trading Post, the chances of you selling it are nearly zero. The Australian consumer is not interested in old cars any more. They want new cars or cars that have done 40,000 kilometres or less. If a car is more than 12 years, there will be very few takers for it. So how do you sell a car that is wrecked or past it is used by date? You contact a wrecker or “Cash for Car Dealer”. As buyers, they are earnest and will not take you or your time for granted. They will not, in short, screw you around. They will turn up when they say they will. When they give you a quote, they will stick by it. They will pay cash on-the-spot, Upfront. Situated in Adelaide, we know how ‘Adelaideians’ like to do business. In a way that is relaxed and professional but non-pushy. Hey, everything about us ‘Adelaideians’ is different – even our accents. Do you have an old car you’d like to sell? Get a price no used car dealer or member of the public will give you. 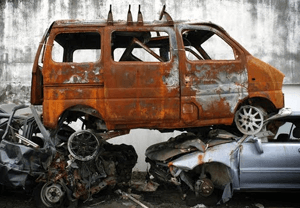 Contact Car Wreckers Adelaide. An established wrecker and cash for car company, we pay well – not extravagantly for cars, members of the public may wish to get rid of. To receive a FREE, No-Obligation to Sell Quote, please call us now on 08 8268 8820.